Drinking wine is a favoured past time of mine, and when travelling with kids an absolute necessity, lol. It was after visiting Margaret River that I realised the travels had to wind up soon – I was drinking far too much! What makes Margaret River so bloody amazing, is not just its premium wine and great craft brew, but gourmet chocolate and cheeses, beautiful national forest and stunning beaches! 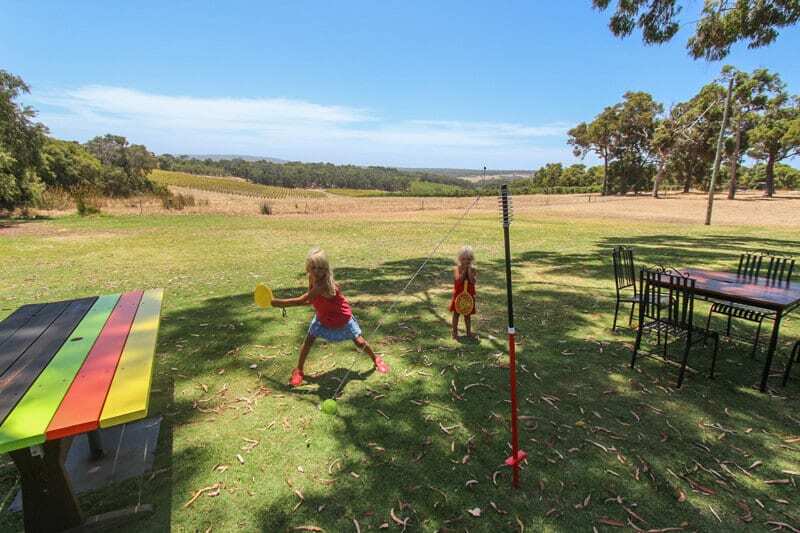 Perfect for families AND so many of their wineries and breweries have you in mind with their kid-friendliness. We did our very best to visit all the wineries in Margaret River, but with over 100 cellar doors it was near impossible. Want help with your family travel planning? 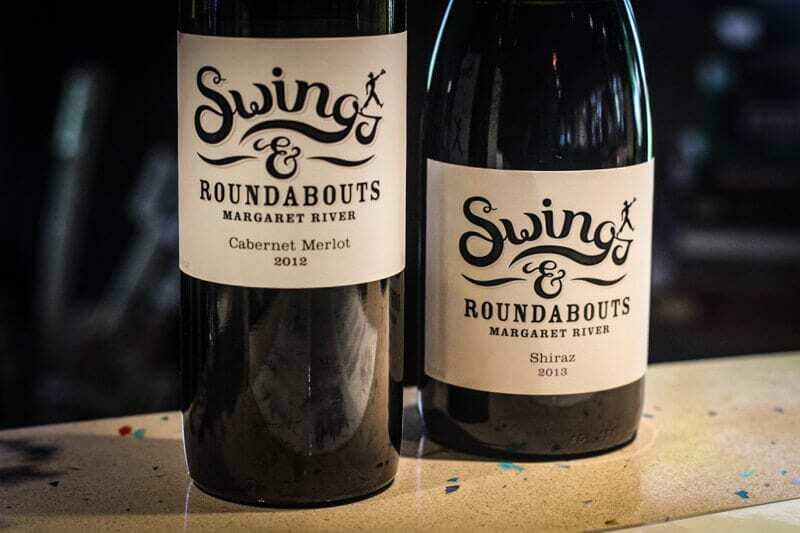 Need more tips for the Margaret River Region? 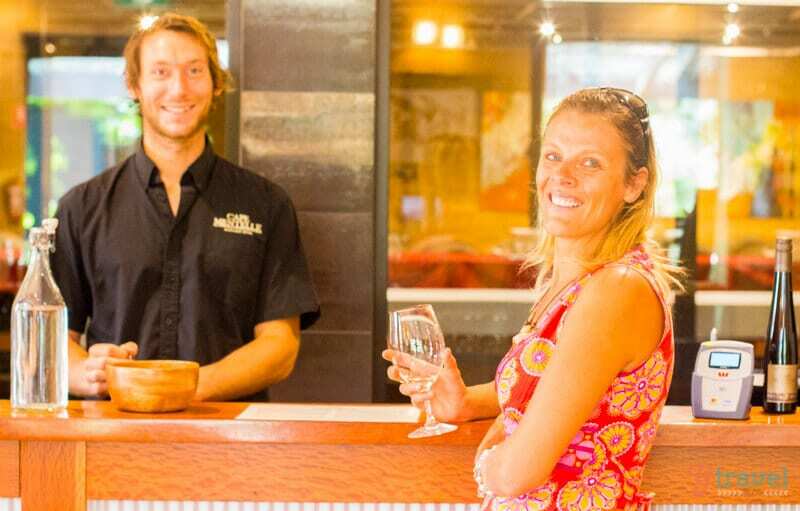 Want tours of the Margaret River region? 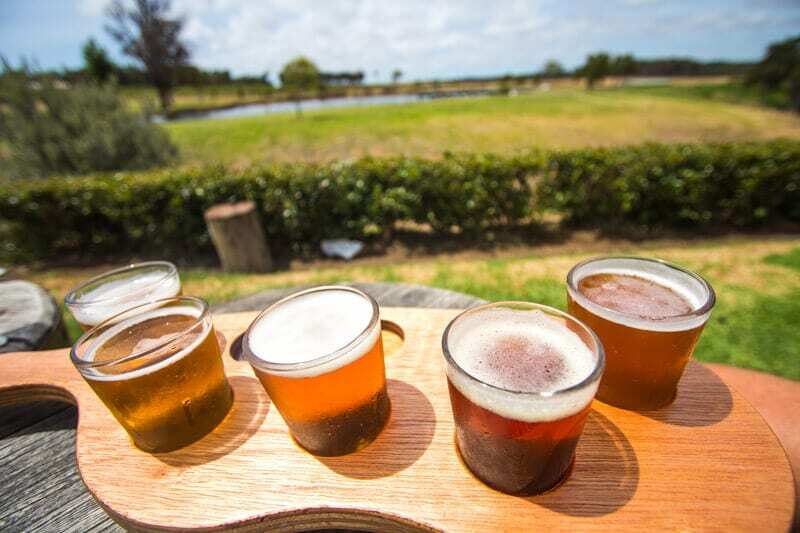 Colonial Brewery won the award for best brewery in Margaret River in our eyes. It’s a bit more local and tucked away. It has the most amazing playground – the size of a kids soccer field. And on Friday nights they have $10 pizza night. And I’m talking huge, gourmet, delicious pizza. We were blown away! Their beer is also very good. My favourite being the Heifnezan. Another local, small-town brewery is Bushshack Brewery. This one is down a bush track and is set up in the front yard of a brick house. It’s got a cool home-grown flavour. 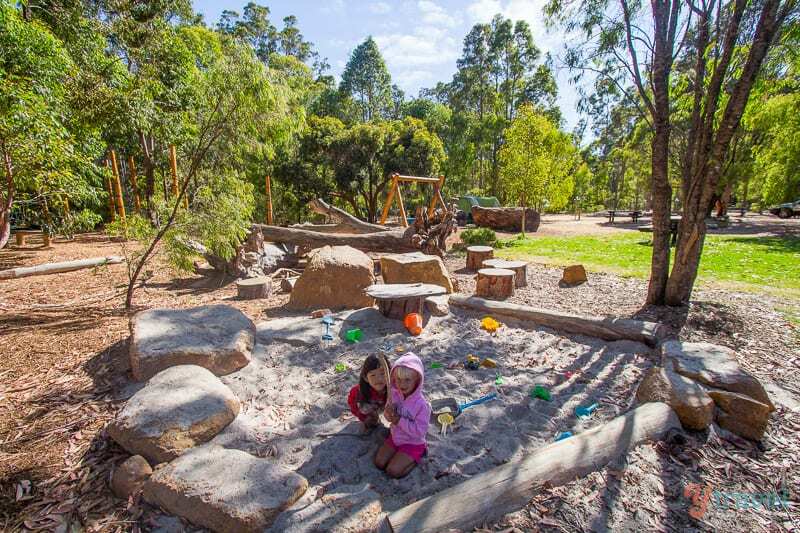 They have live acoustic music, lots of outdoor bush space, and a big sandpit for the kids. They don’t have the playground like the other two breweries but still good for kids. Our pick is the strawberry beer, the ginger beer, and the nachos! We didn’t stay at Swings and Roundabouts for too long as ironically the kids were not happy!! Nothing to do with the winery though, which has a huge outdoor area they can play in, a tyre swing to enjoy and a few other knicks and knacks to play with. Pizzas here come highly recommended too. We managed to sneak in a bit of wine tasting and took a bottle back out with us – always a good sign that it’s good! 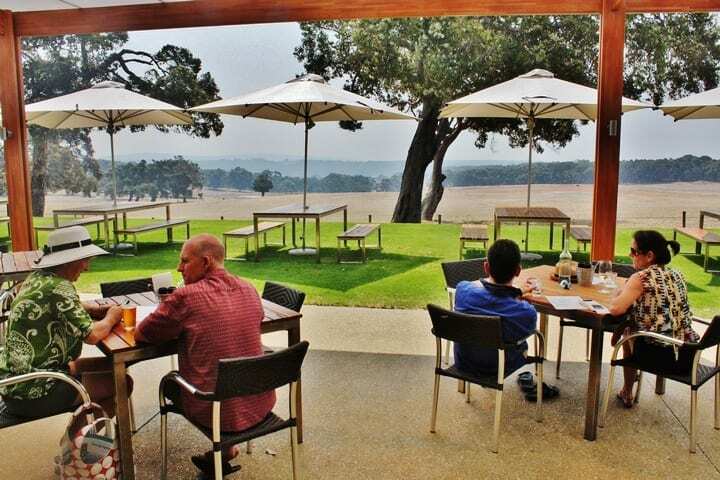 Cape Mentelle was one of our favourite afternoons in the Margaret River wine region. We packed a picnic of cheese, olives, crackers, cold meats and chip and dip and sat in the Cape Mentelle garden with a bottle of their and played bocce. The girls loved it. We tasted some wine before it with a lovely French sommelier who taught us about the wines. During the summer, they have outdoor movies. Check the guide for the family friendly ones. We weren’t major fans of the beer at Cheeky Monkeys, but the outlook is great and the kids playground is awesome. The food was fairly average and the crowds intense. But, it was a lovely summer’s day when we visited. If your kids are entertained then who cares really. There is a small winery attached as well. 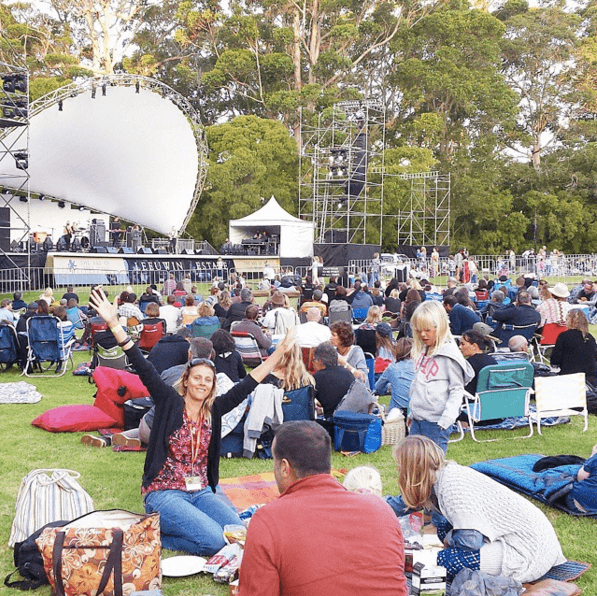 Leeuwin Estate is the place for summer concerts. 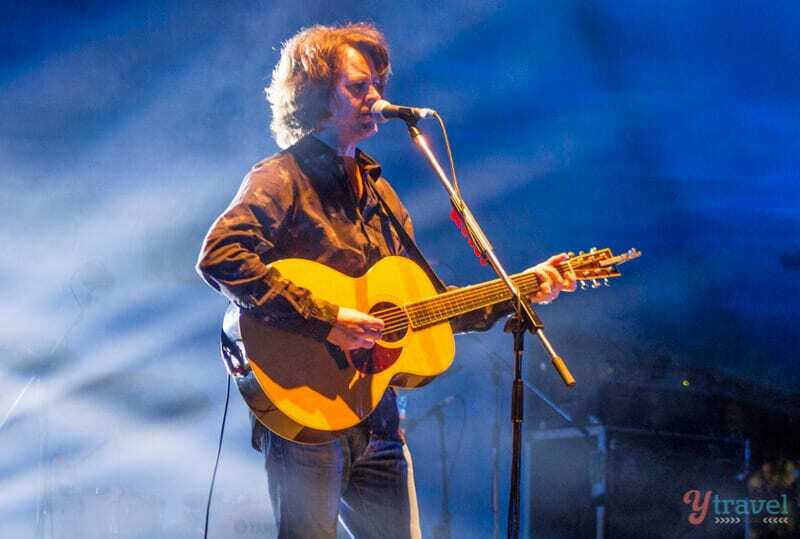 We had a great night with our friends, Mike and Ang at the Bernard Fanning concert – former lead singer of Powderfinger! The wine here was sensational. I was devastated I chose to drive and could only have one! We brought our own picnic and had a bop around with the girls before they fell asleep on our lap. Don’t leave it all up to you! Get your kids involved and ensure everyone has a great time Click for instant access to our free family travel planning toolkit. Okay, so Margaret River is not just about wine and beer. 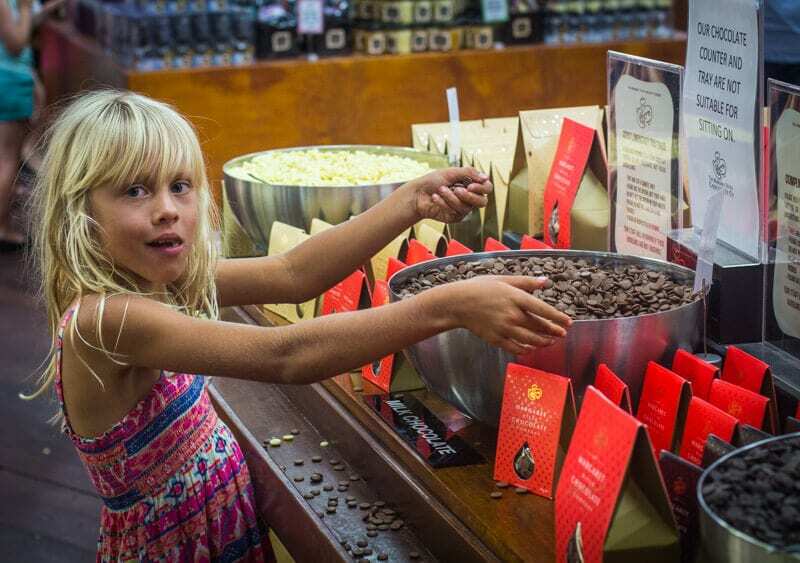 There are plenty of other amazing things to do in Margaret River with kids. 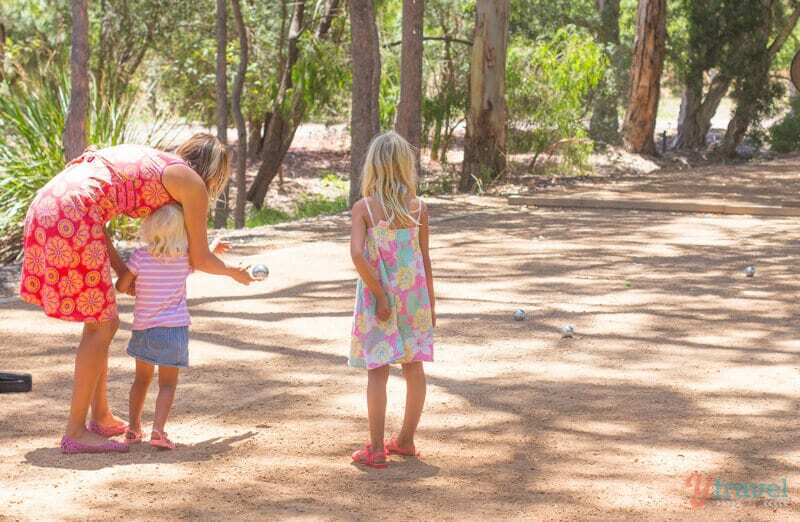 Now, we’ve tackled the most important thing, let’s look at what some of those family-friendly activities in Margaret River are. What an amazing maze! 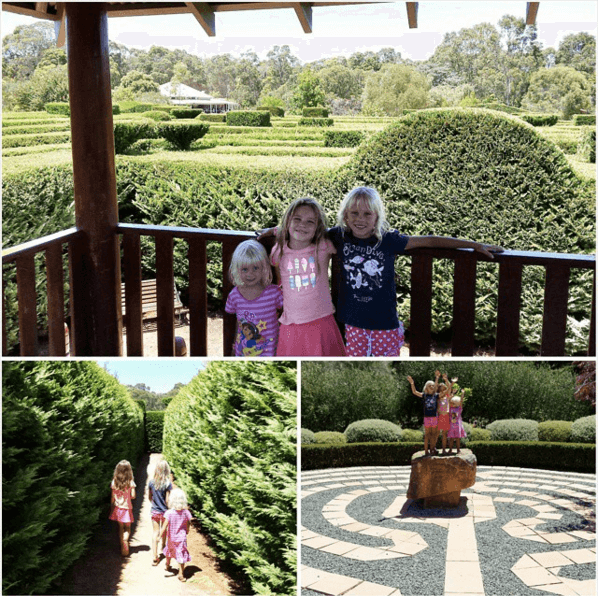 Yallingup Maze in Dunsborough has to be one of the best we’ve been to in Australia. The girls had a ball! I snuck into the cafe to work (great views, food, and coffee) while Craig took the girls and their friend through the maze in a race to reach the towers first. There’s also a lovely outdoor nature space area to play in and lots of board games in the cafe for when you want a break inside! 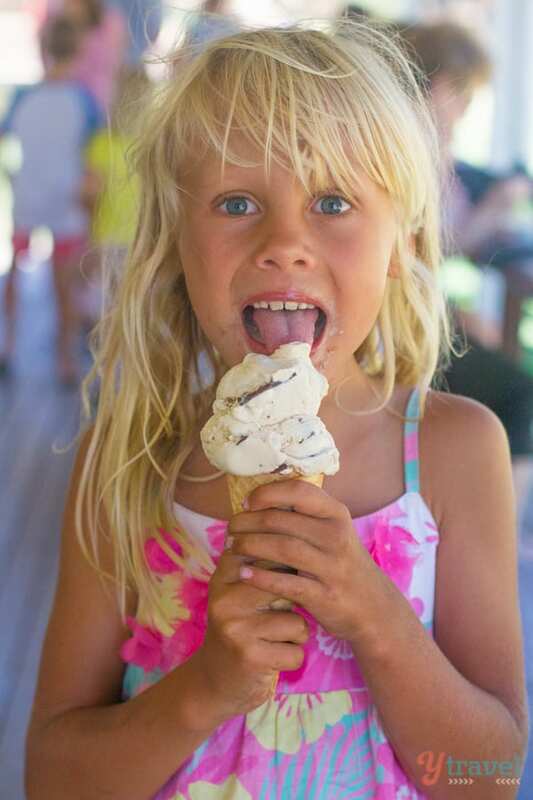 Simmos Ice cream in Dunsborough is known as the place to go for ice cream in Margaret River. It’s also popular for it’s huge grassed area, adventure playground, and mini-golf. 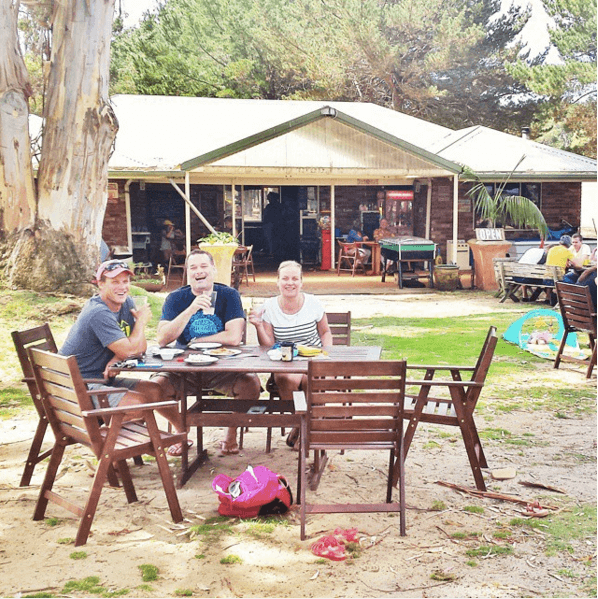 We preferred the ice cream and experience at Millers Ice Cream located on a dairy farm in Margaret River. It’s a drive to get to, but scenic and worth it. There is a playground and space for the kids to run around when they’ve finished licking their lips. Read More – Where’s the best place for ice cream in Australia? Be warned – there’s a tasting bowl of small white and dark chocolate buttons. Your three-year-old will climb up to get them and drop trails of them as evidence around the factory floor. I was very happy to drag the girls out of there. The Margaret River Chocolate Factory was a little too commercialised for me, and I’m just not that into chocolate. I know I’m unusual so I’m sure you’ll love it! 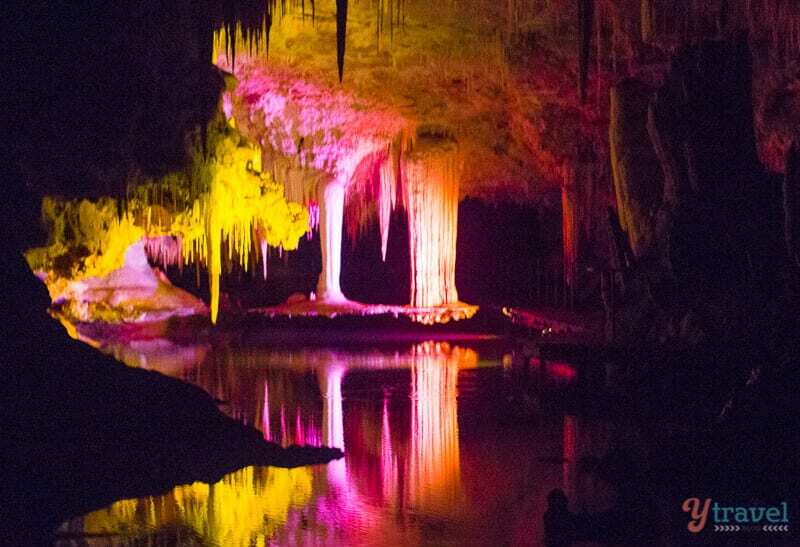 The limestone cave network hidden with the karri forest in Margaret River is pretty special. 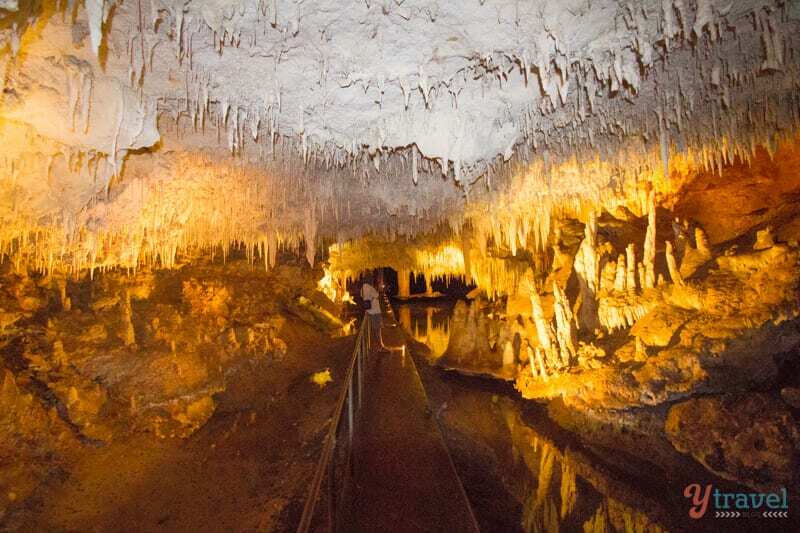 Over 150 highly decorated limestone caves lay beneath the surface of the Leeuwin Naturaliste Ridge. The unique feature of Lake Cave is the ‘Suspended Table’ formation, which weighs several tonnes and seems to defy gravity as it hovers above the clear lake water. A pretty light show at the end of the tour will enthral you. Jewel Cave is the largest show cave in Western Australia. I enjoyed the guided tour here past unique formations, including the ‘Frozen Waterfall’ and ‘Organ Pipes and beneath coral formations that create the impression of being underwater. 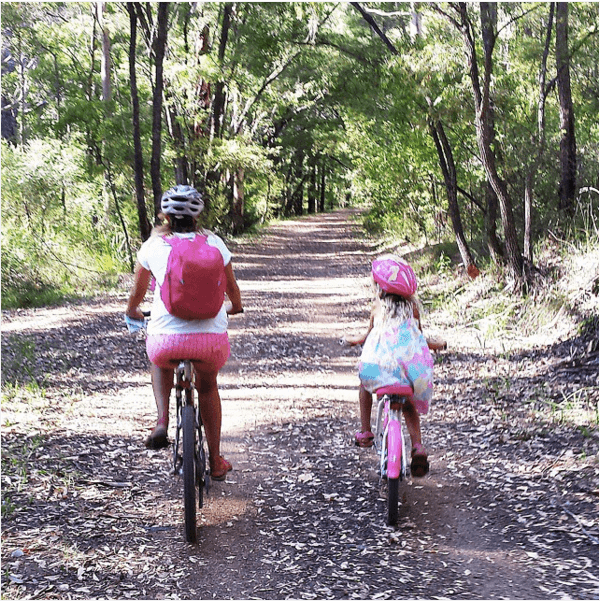 There are many mountain bike trails throughout the Margaret River region. If you stay at Wharncliffe Mill (see below), the trails are right on your doorstep. Some aren’t suitable for children so do your research. We did a loop from the campsite into town and back along the old trail. It was beautiful and easy to do with kids. 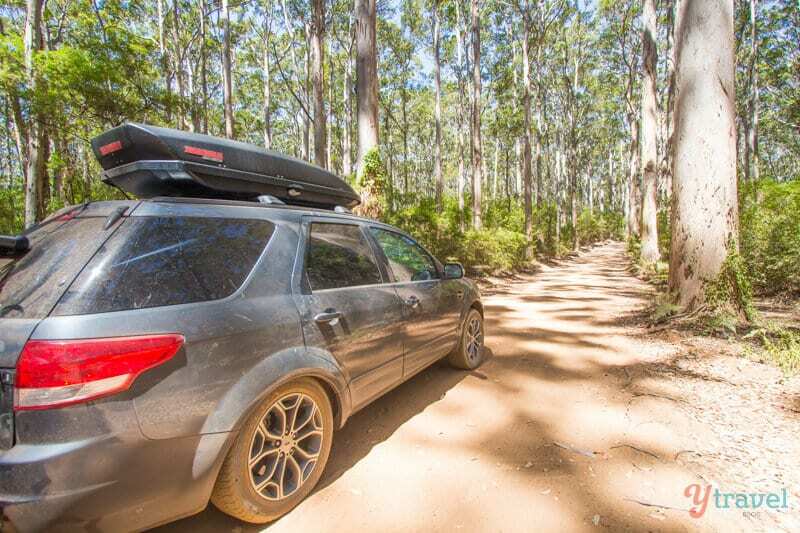 The Boranup Karri Forest and Bramley National Park are the places for scenic drives, hiking, quad bike exploring, or, for the more adventurous mountain biking. The forests offer a peaceful, quiet and shady perspective of Margaret River. We did not visit Sunflowers, but our friends took their daughter 3 or 4 times and raved about it. 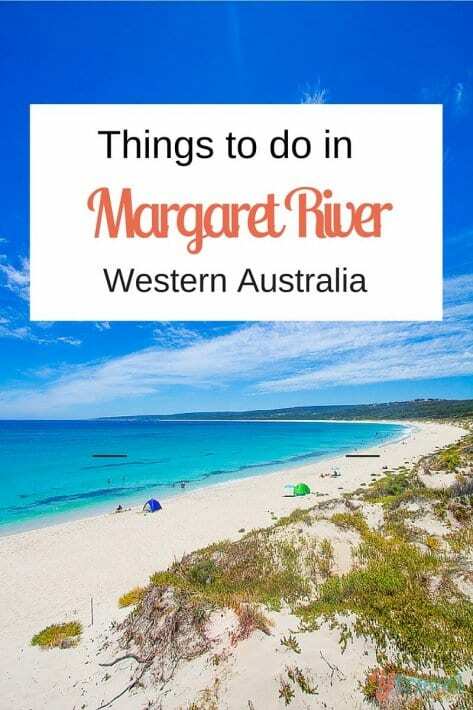 That’s good enough recommendation for us to include it here for you as things to do with kids in Margaret River. There are plenty of animals for you to pet and feed. You can walk around the lighthouse precinct and listen to an audio tour and hear more stories of the lighthouse and the lives of the Lighthouse Keepers and their families. 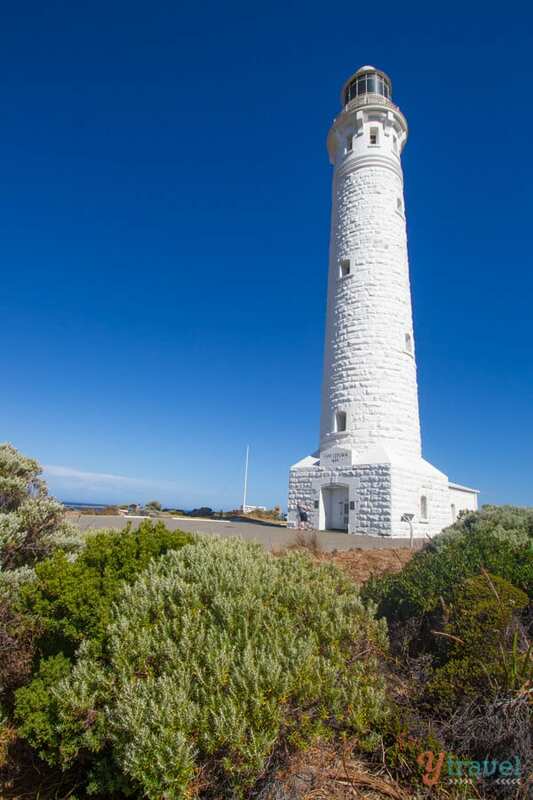 If you’ve come this far, it’s worth paying extra to walk to climb the 39-metre lighthouse for some beautiful views over the Indian and Southern Ocean. 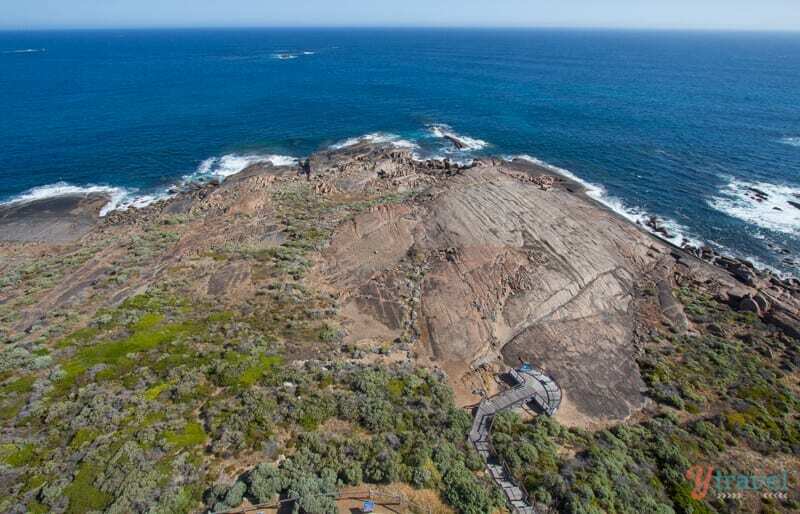 This is the most south-westerly point of Australia where the two meet and the guide will point out the currents of the oceans crashing together. It is very windy here. 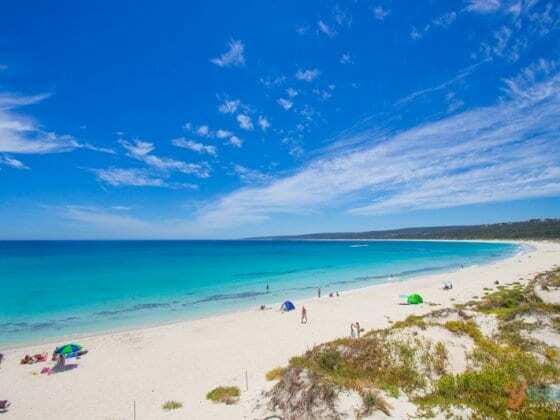 The Margaret River region has some of the best beaches in the world, and they are so uncrowded. 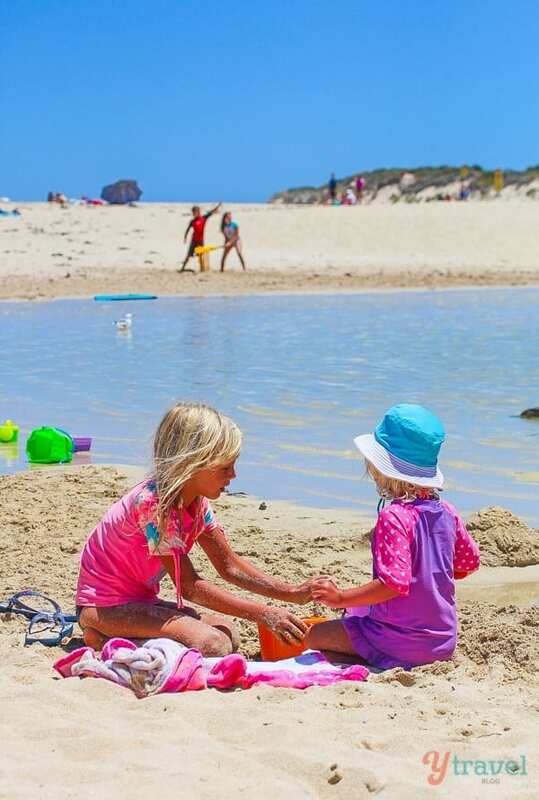 Your kids will love this aspect of a family holiday to Margaret River. 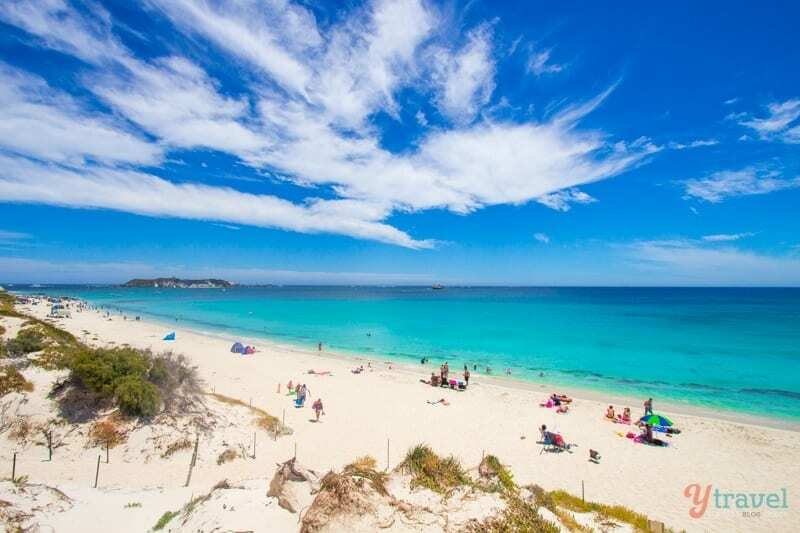 Hamelin Bay – OMG stunning! 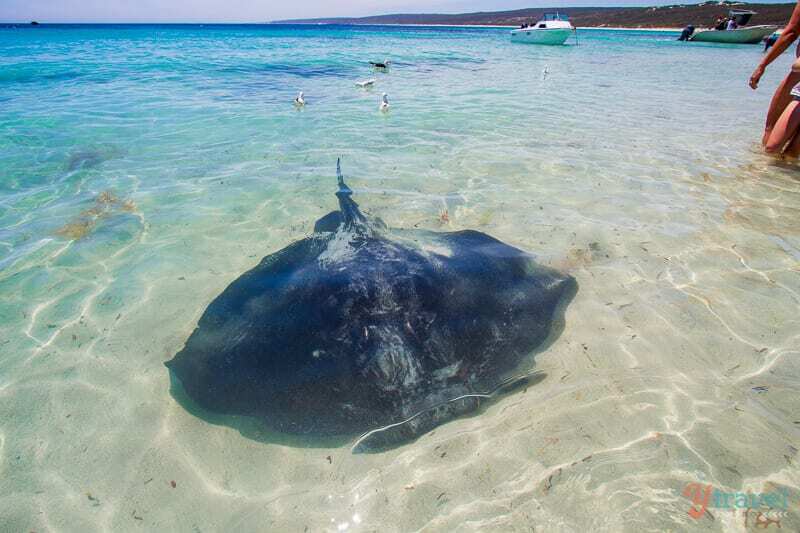 Also, the place to get up close to stingrays. They’ll come right to shore to say hey! Meelap Bay – calm and pretty. You can hire kayaks or SUP boards here. 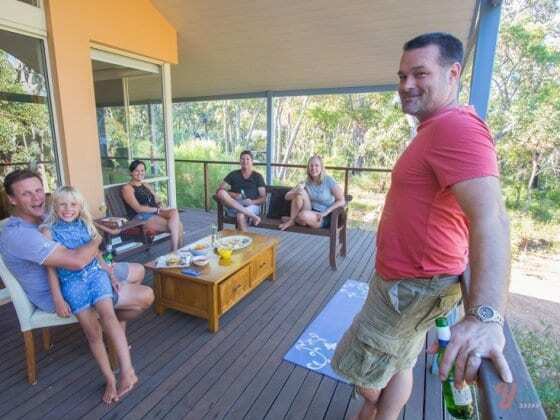 You cannot go past renting the big house in Yallingup. This was our favourite place to stay on our road trip around Australia. We loved it so much we stayed there twice and I’ll be booking it for when we visit Margaret River again. Right across from beautiful Yallingup Beach, situated about a 25-minute drive to Margaret River town is Yallingup Beach Holiday Park. This area has some of the most beautiful beaches in the region. 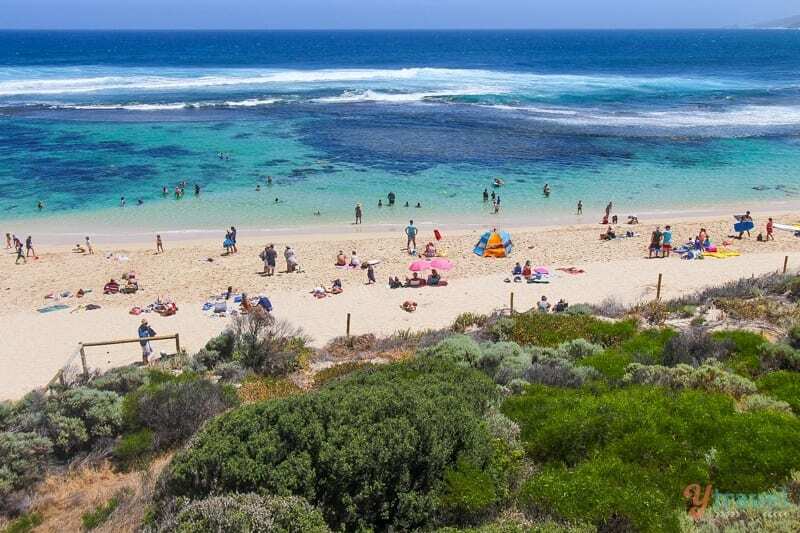 Yallingup is a family-friendly beach for swimming and has a coastal walking track and morning yoga on the grassed area overlooking the beach. Head south to grab your coffee from the mobile coffee guy on the headland! The campground is pretty tiny and cramped, facilities sparse, and it’s a bit run-down. But, if you love location, you may be willing to sacrifice to be so close to the beach. Definitely the cheapest and prettiest camping in Margaret River is Wharncliffe Mill. It was also one of our favourite campgrounds in Australia. You can read more about it in this post here. It’s in the National Park, on the outskirts of Margs, just a quick 10-minute bike ride away. The kids will love it! We stayed the night in Augusta on our way to Pemberton at the Alouarn Apartments. 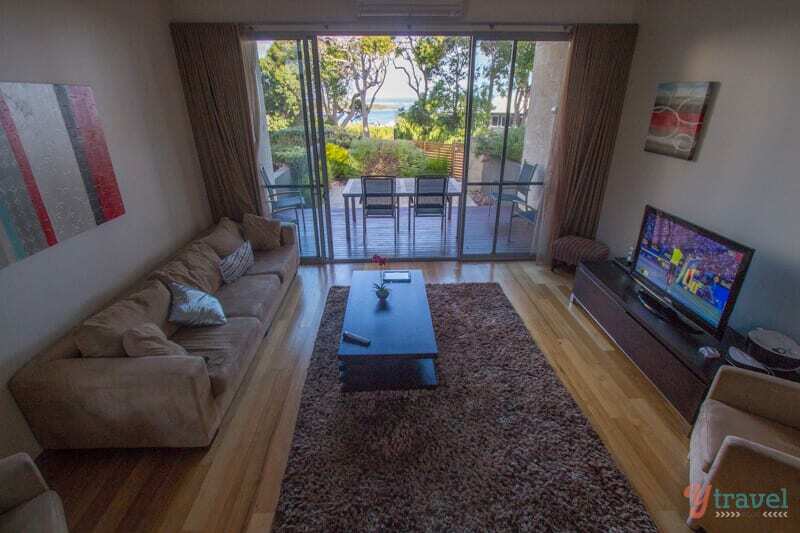 They were recently renovated self-contained apartments with private balcony. They were very spacious with a gorgeous lux feeling attached and close to Augusta town. Top 15 things to do in Perth. Margaret River is an easy four hour drive from Perth. Click here to find the best rental car deals in Perth from our partner, RentalCars.com. Check out Viator for the various tours of Margaret River on offer. 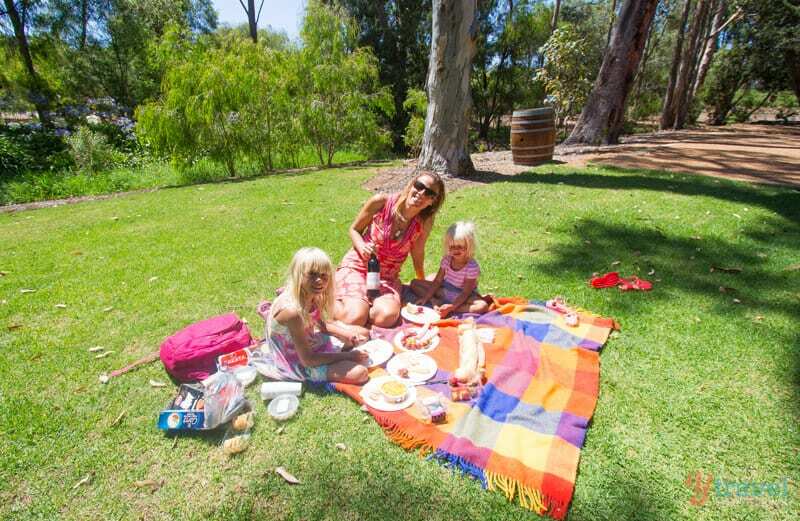 Do you have any tips for things to do in Margaret River with, or without, kids? Happy to hear you’ll be in Margaret River next month with your kids. You’ll love it. I’ve heard of Margaret River but yes, I kind of thought of it as a place to drink wine and go surfing. Good to know that there is lots to do for families as well. Yep. Great wineries and beaches. But there is so much more, fantastic region for all family members! As i know Margaret river is known for wine, surfing and caves, surprisingly it’s an ideal place for family with kids. Thanks for sharing. I love Quinninup Falls, it is a hidden little treasure that not many people know about. 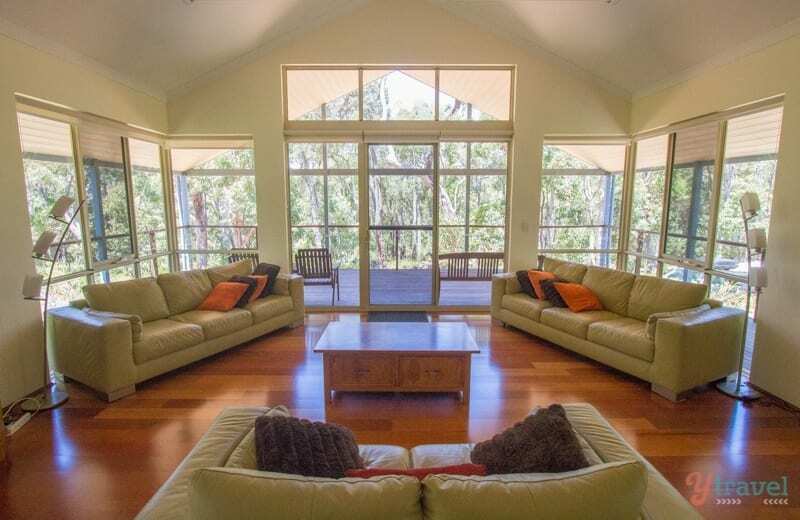 Located 10 kilometers south of Yallingup and near the Cape to Cape walking trail. Worth checking out if you are in the area. Hey Anne, thanks for the tip on Quinninup Falls. Sounds great! What a fabulous trip to the Margaret River you’ve had. I have to agree, wine is one of my favourite pastimes when we’re traveling. I LOVE visiting wine regions. …and yep, especially when traveling with little kids. It’s just nice to have grown up time. 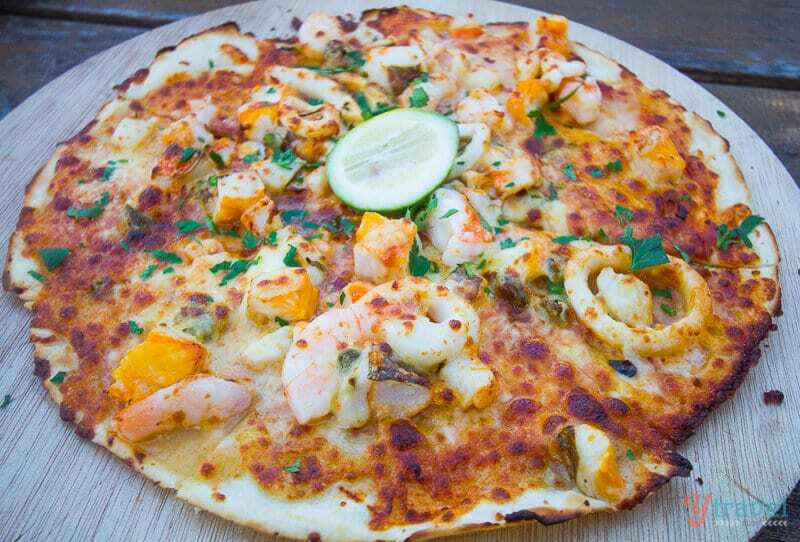 Wine aside, that seafood pizza alone is enough to get me to Margaret River. I love everything ! thanks for sharing this experience.